HR managers must find innovative ways to attract—and keep—the best candidates. Better benefits is an obvious answer. According to a survey by Randstad US, only 39% of workers are satisfied with their current benefits offerings, and 66% agree that a strong assortment of benefits and perks is the largest determining factor when they are choosing between different job offers. In fact, benefits are even more important than the number on a paycheck: 61% of respondents say they would accept a lower salary in exchange for a better benefits package. Unfortunately, there’s not much research to support the efficacy of such programs. One study found that money spent on workplace wellness did almost nothing to improve employee health, because the already healthy employees are the most likely to participate. Employee wellness programs also don’t do much in the way of cutting costs, either. At $100-$150 per employee per year, along with monetary incentives to use them and administrative time to ensure compliance with relevant regulations, there can be a hefty price tag for something that sounds sweeter than it works. To really meet the needs of employees, it’s not enough to slap a few new programs on the books and call it a day. To truly bring about lasting change in the health of your employees, get to know them and their unique needs. Hold focus groups or conduct surveys to find out what’s important to them when it comes to the health of their families. Do you have positions that come with a higher risk of injury? Implement a stretching program. It’s well-known that stretching regularly improves flexibility, which can lower the chances of injury. Should it be necessary, remove any barriers to high quality physical therapy — the reduction in avoidable musculoskeletal procedures easily pays for itself. And, of course, your workforce is happier and healthier without pain. In the case of Rosen Hotels and Resorts, for instance, programs like these reduced workplace injuries by 25%. Are the majority of your employees at a high risk for pregnancy complications (e.g. diabetes, HIV, advanced maternal age, hypertension, etc.)? Be proactive about providing family planning information and classes, and help these individuals manage their pregnancies from a health perspective to ensure everything goes smoothly. In addition to wellness, one of the key elements of a great health benefits package is a plan that supports value-based primary care, an alternative to the traditional fee-for-service model, where doctors are reimbursed according to the number of services they provide, with no regard for quality or patient satisfaction. Not only does this model improve patient outcomes and deliver a significantly better experience, but it can also lower costs for you and your employees. And that’s no small concern, as the 2016 Strategic Benefits—Assessment and Communication of Benefits report from SHRM found that 30% of HR professionals indicate their company’s main strategic priority for their benefits package is to control rising health care costs. Sadly, the current system in this country is riddled with “get in, get out” 10-minute appointments, incentivized by high patient volume and low reimbursement rates (often for largely unnecessary or low-evidence procedures). 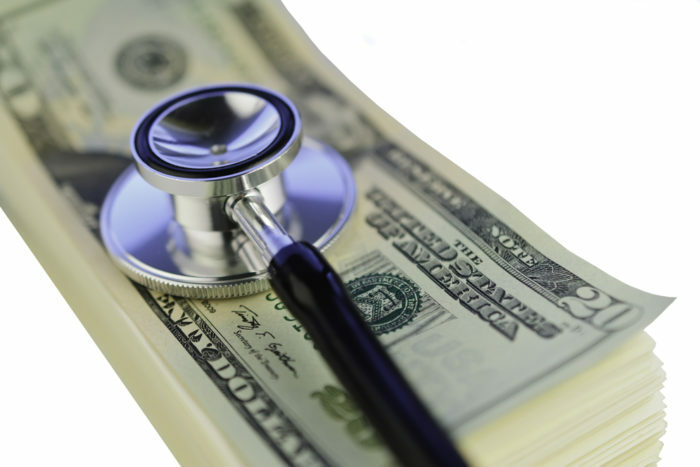 Doctors frequently are driven to recommend costly procedures. With value-based primary care, your employees can enjoy more time with their providers and more coordinated care and technology solutions that improve connectivity and patient-provider engagement. Instead of doing what’s hot now, invest in programs and initiatives that feed the flame behind your employees’ health and well-being. You will end up with a more productive, more satisfied workforce and a health plan that lowers costs, improves value and raises your recruiting and retention power. Dave Chase is co-founder of Health Rosetta, which accelerates adoption of simple, practical, non-partisan fixes to our healthcare system. He is also the author of the upcoming book: The Opioid Crisis Wake-up Call.